long distance hiking | Finding delight. 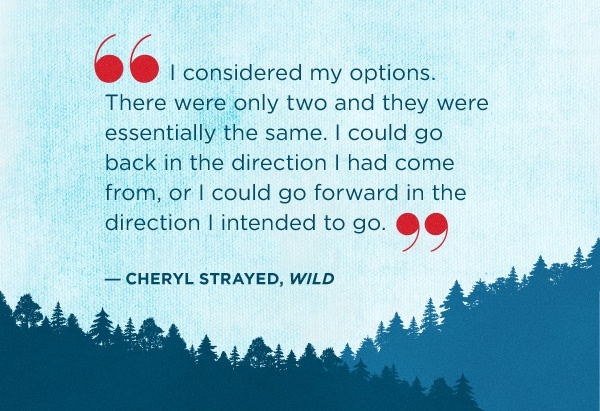 “Wild: From Lost to Found on the Pacific Crest Trail” by Cheryl Strayed is the story of one woman on two concurrent journeys–forging a path through her own grief towards healing, acceptance and self-forgiveness as well as blazing the physical Pacific Crest Trail on an eleven-hundred mile solo hike. As mentioned before in our little virtual book club, I initially heard about this travel memoir on one of my favorite radio programs and felt reading it was of the utmost importance after stumbling upon Vanessa Veselka’s essay about the lack of female road narratives and why it matters. For the last year or so, admittedly, I’ve been pretty obsessed with the idea of long-distance hiking, spending hours researching various trails and reading books and blogs about those who have made these trips. Suddenly, reading Veselka’s essay made me put 2 and 2 together–there were and ARE women out there who are going on magnificent journeys! They are walking from Georgia to Maine, from the Mexican border to the Canadian, they’re seeing our country in new ways, they are heroic and SOMETIMES–they are doing all of this ALONE. 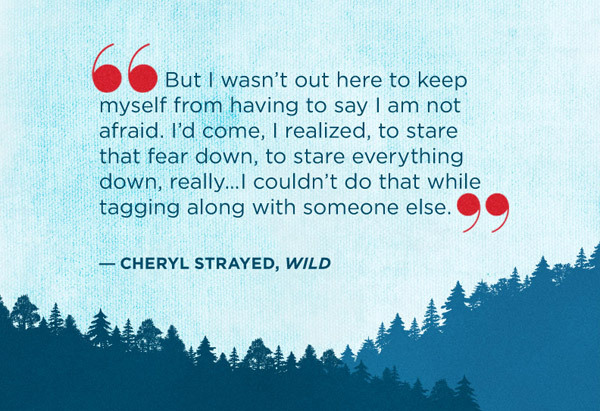 Strayed does not spend time justifying her ability or right to tell this story. She just tells it. Whether you relate to the physical pain she endures; carrying her huge backpack lovingly nicknamed “Monster” and doctoring banged up feet from ill-fitting boots, or her emotional pain; the death of her mother and the end of her marriage–there are moments of palpable empathy throughout. Strayed hit rock bottom. There was no place left to climb but out. I truly believe this book is a great introductory read for anyone who is seeking out female road narratives. We’ve demonstrated over the last 3 weeks that stories like this one are hard to find. Reading it will hopefully reveal how women on their own and on the road can have a place in not only our literature but our cultural landscape, too. In her essay, Veselka argues, “True quest is about agency.” Meaning, when we relegate women’s journeys to mistakes, escape or a plot twist only to end in tragedy, we are robbing them of just that. Instead, we need to afford women the possibility and ability to tell stories like Strayed’s. Veselka explains, “You can go on a quest to save your father, dress like a man and get discovered upon injury, get martyred and raped, but God forbid you go out the door just to see what’s out there.” I want women to see what’s out there. I want to see what’s out there. …So I read. I go on adventures. And I encourage you to do the same.